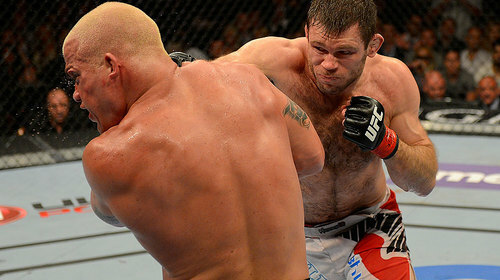 Forrest Griffin vs. Tito Ortiz UFC 148 Jul 7, 2012 (34:45) Octagon veterans Tito Ortiz and Forrest Griffin met once again. 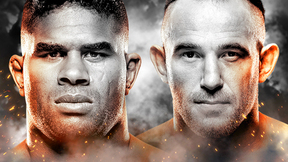 In their first bout, Ortiz won by decision after an action-packed battle boasting Fight of the Year honors. In the next, Griffin won by a close split decision. What would happen now? 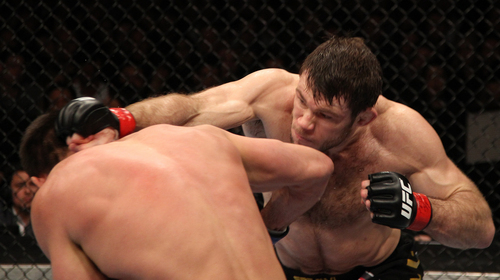 Forrest Griffin vs. Rich Franklin UFC 126 Feb 5, 2011 (29:19) The last time Cincinnati's Rich Franklin entered the Octagon, his striking overcame Chuck Liddell, resulting in a KO of the 1st round. 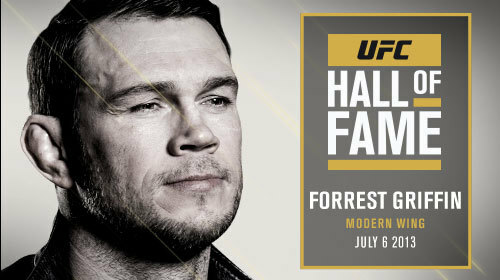 However, Forrest Griffin had plans to show this former middleweight champion that his jiu-jitsu and striking were superior. 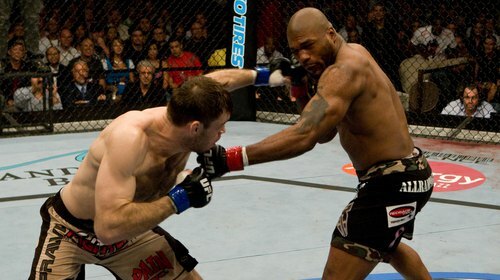 Forrest Griffin vs. Rampage Jackson UFC 86 Jul 5, 2008 (23:42) Quinton 'Rampage' Jackson made his second title defense against The Ultimate Fighter® season 1 winner Forrest Griffin. In what turned into a classic, these two went non stop for the full 25 minutes and the bout ended with a surprised new champion. 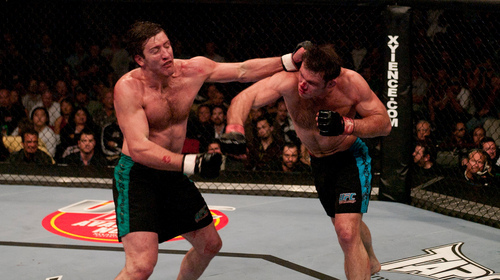 Forrest Griffin vs Hector Ramirez UFC 72 Jun 16, 2007 (31:55) Light Heavyweight favorite Forrest Griffin returned to the Octagon to face Hector “Sick Dog” Ramirez. 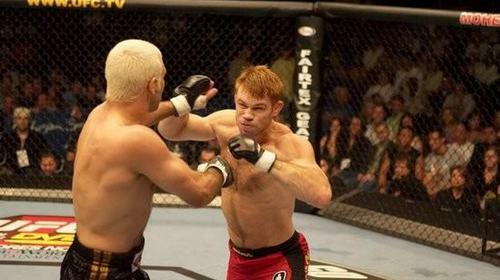 Forrest Griffin vs Mauricio Rua UFC 76 Sep 22, 2007 (31:34) It was the long awaited debut of PRIDE superstar Mauricio 'Shogun' Rua inside the Octagon, and Forrest Griffin wanted nothing better than to spoil Shogun's debut and climb his way up the UFC® light heavyweight ladder. Forrest Griffin vs Elvis Sinosic UFC 55 Mar 15, 2011 (10:48) Long-time veteran Elvis Sinosic returned to the Octagon to face TUF 1 winner Forrest Griffin. Four years earlier, Sinosic was fighting for a title and his goal was to get a 2nd chance at UFC gold. Meanwhile, Griffin was standing at 2-0 in his young but illustrious UFC career. Forrest Griffin vs Bill Mahood UFC 53 Jun 4, 2005 (12:12) In his first bout since winning The Ultimate Fighter, fan-favorite Forrest Griffin entered the Octagon as a 10-2 member of the UFC roster against a debuting stand-up fighter with a blackbelt in taekwondo - Bill “The Butcher” Mahood.